If I choose to implement lifestyle changes recommended in this program, such as changes to my diet or exercise regimens, I understand that I should consult with my physician or healthcare provider before making such changes. The recommendations and suggestions offered by Full Plate Living programs are not a substitute for medical advice. If you're doing this program through your employer, we're asking permission to include your questionnaire results in the aggregate and anonymous report we may provide to your employer. Your employer will not be able to identify you or your data based on the report. If you're not participating via your employer, we’re asking permission to review your survey results so we can determine if this program is working for you. I authorize Full Plate Living to use and disclose my Limited Health Information in the manner and for the purposes expressly stated below. I acknowledge receipt of Notice of Health Information Practices (Privacy Notice) from FPL governing its uses and disclosures of my protected health information and my privacy rights. I acknowledge receipt of Full Plate Living'sFORUM TERMS AND CONDITIONS. 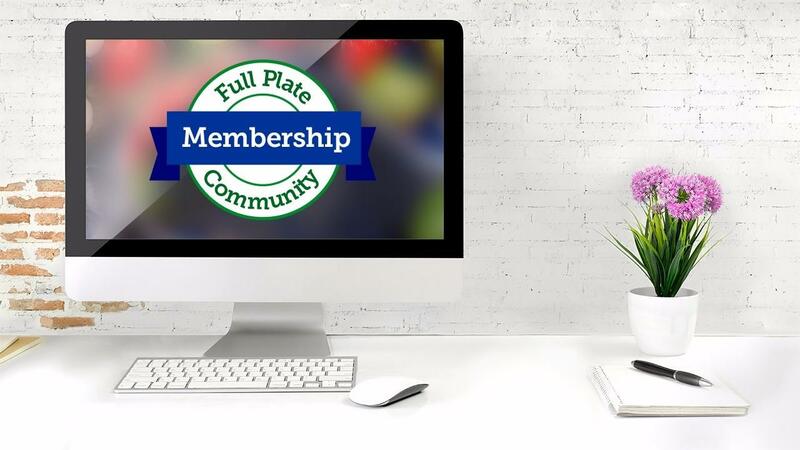 Full Plate Living is collecting personal health information from those who participate in its on-line and facilitated programs. Information collected is strictly limited to: height, weight, age, gender and information collected from self-answered surveys on wellness, hope/purpose, and lifestyle habits (collectively the “Limited Health Information”). Limited Health Information gathered from employees of an organization participating in the program is analyzed and an overall assessment report covering those participating employees as a group is sent to the employer organization for its use in responding to health care issues of its employees. Full Plate Living also uses Limited Health Information in evaluating and improving the effectiveness of each program. By signing below, you authorize Full Plate Living to use and disclose your Limited Health Information for the uses identified above. YOUR LIMITED HEALTH INFORMATION WILL NOT IDENTIFY YOU BY NAME NOR WILL IT BE COMMUNICATED IN ASSOCIATION WITH YOUR NAME TO YOUR EMPLOYER. Neither the publisher nor the authors are engaged in rendering professional advice or services to the individual reader/participant. The ideas, procedures, and suggestions contained in this online program are not intended as a substitute for consulting with your physician. All matters regarding your health require medical supervision. Neither the authors nor the publisher shall be liable or responsible for any loss or damage allegedly arising from any information or suggestions in this online program or materials. Whew. Let's do this program now.